Instability makes shoe-free exercise more effective. While the right pair of shoes supports your body when you work out, there’s a case for ditching them from time to time. The bottoms of your feet are abundant in small sensory nerves that absorb impulses from the ground through vibration, says Michael Ryan, barefoot training specialist and Tier X manager at Equinox Tribeca in New York City. “The faster the impulses are absorbed through the foot and signals are communicated to the brain, the more efficient your movements become,” he says. With no shoes blocking feet from the ground, the messages get delivered more quickly. That’s key for injury prevention. “It takes about 55 milliseconds for an ankle roll to become a sprain,” Ryan says. Weekly barefoot exercise can give you the strength and reflexes in the ankles and feet to correct your movements when you arewearing shoes. Because of all the benefits, “barefoot and minimalist training has become more normalized in recent years,” says Matt Berenc, director of education at the Equinox Fitness Training Institute in Beverly Hills. But you can strengthen your feet even more by pairing shoe-free exercises with instability training. “Most surfaces people interact with are flat and consistent, but the foot was designed to adapt to a variety of surfaces,” Berenc says. 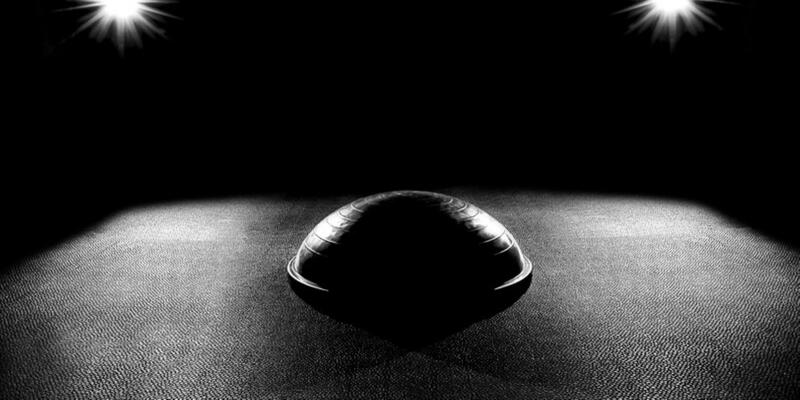 Alternate options like sand and BOSU balls change the environment and force the feet to adapt. You should progressively build barefoot training into your routine. "Ease into it, because the muscles of the foot and lower leg need time to adapt to moving without support from the shoe," Berenc says. 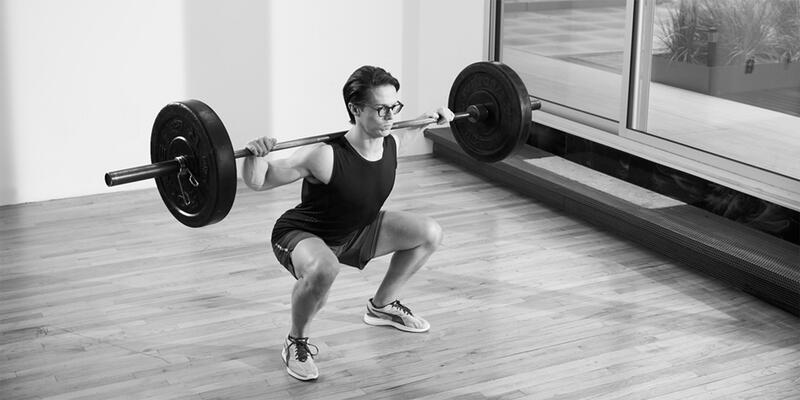 "Just as you wouldn't jump into a high-volume squat workout if you've never squatted before, don't jump into barefoot training without some lead-in time." Walk barefoot around the house or yard, complete your movement prep or warm-up before lacing up, and then incorporate these moves into your routine a few times a week. This is an isometric exercise that strengthens and stabilizes the inner foot, Ryan says. Use it as a prerequisite for your regular, shoes-on training routine. Eventually, you should do this in conjunction with other exercises, like at the top of a squat. How to do it:With your foot flat on the ground and toes relaxed, start to scrunch or shorten your foot by pulling the ball of your foot toward your heel. The arch should rise, while the rest of your foot stays in contact with the ground. Hold for 2 to 3 counts, then release. Repeat on the other side for one rep. Complete 3 sets of 10 reps. Progress to doing this move on the flat side of a BOSU ball. “The squat is a fundamental human pattern yet many people lose the ability to perform it correctly,” says Ryan. Doing the move barefoot engages more muscles in the foot, improving your innate stability. How to do it: Stand on the flat side of a BOSU ball with feet slightly wider than shoulders, toes turned slightly out. Bend your elbows and clasp hands in front of chest. Sit back and bend your knees until thighs are just below parallel to the floor, making sure your knees stay above your feet, then rise up to the starting position. Do 3 sets of 10 reps.
How to do it:Stand with feet together on the flat side of a BOSU ball, hands relaxed in front of chest. Soften the left knee slightly as you bend forward from your hips, extending right leg to hip-height behind you. Rise up to the starting position. That’s one rep. Do all reps on one side, then switch sides and repeat. Start with 2 to 3 sets of 8 reps per leg. Master the exercise without weight first, then progress to the loaded movement once you feel steady. This move requires you to literally think on your feet, enhancing reflexive stability, Ryan says. How to do it:Stand on the flat side of a BOSU ball and imagine you’re in the middle of a clock, with 12 straight ahead of you and six right behind you. Have a partner randomly call out a number and lunge on the floor toward its location on the clock face. Do 3 sets of 10 reps.